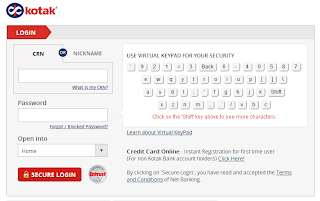 How To Stop Cheque Payment Through Kotak Mahindra Bank Internet Banking? Finance Guru Speaks: This article will provide you information on how you can request for stopping your Kotak Mahindra Bank Cheque payment through Internet Banking facility. First of all, why would someone issue a Cheque and then want to cancel the payment request? The respective issued Cheque got lost in courier/post. You want to reissue a new Cheque because of some reasons. You have already paid the receiving party in Cash. The Cheque was issued with some errors. 1. 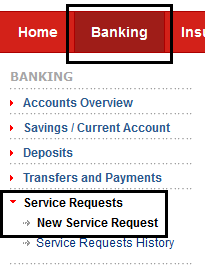 Open Kotak Mahindra Bank Online Banking Website. 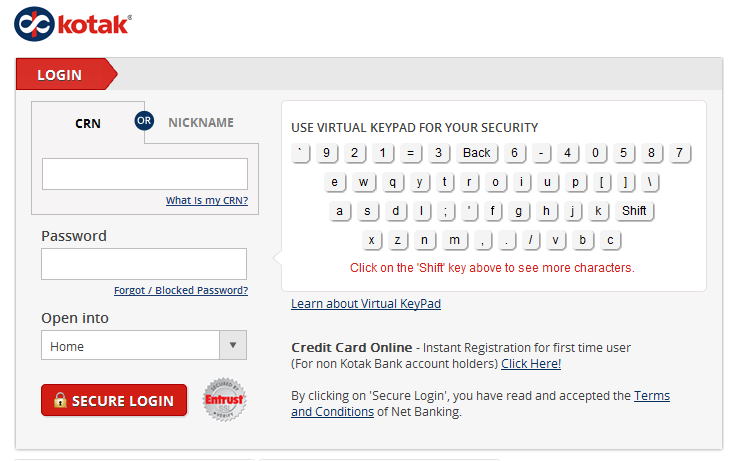 Provide your login details like CRN (Customer Relationship Number) and Password. 2. Generate the Dynamic Access Code. 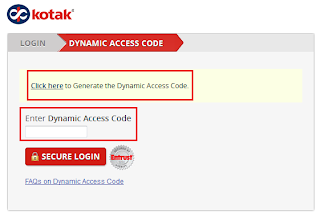 It will be send to your registered Email ID and Mobile Number.Provide the Dynamic Access Code and click on SECURE LOGIN. - First select the Account number. - As seen above, you need to provide the Start Cheque Number and End Cheque Number. Suppose you have to cancel payments issued via 3 Cheques: 000121,000122 & 000123, then you can give "Start Cheque Number=000121" and "End Cheque Number = 000123". - If you want to cancel only one Cheque Payment, then enter that Cheque Number in the "Start Cheque Number" field and leave "End Cheque Number" as Blank. 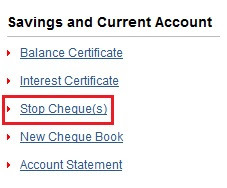 - Click on Stop Cheque button. This is how you can cancel the payment request of an issued Cheque. Stop Payment instruction once given cannot be withdrawn. The cheque numbers mentioned should belong to the same cheque book. How To Stop Cheque Payment Through SBI Online Banking?